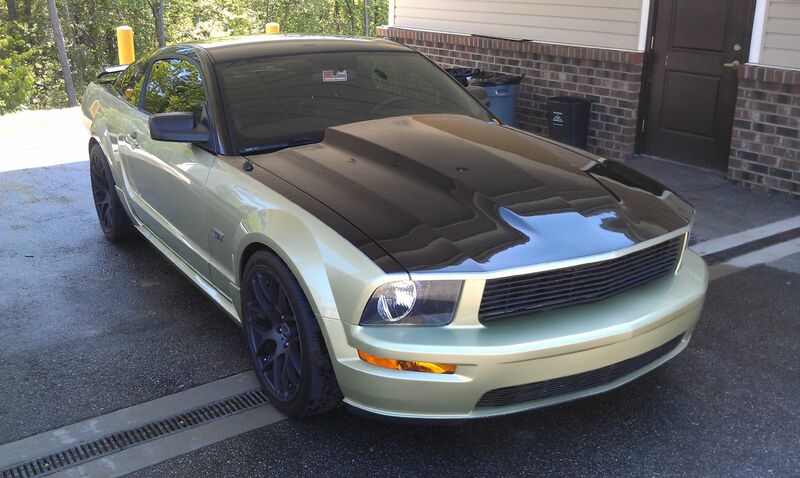 2005 Mustang GT – 51 000 miles – 5.0 Liters – 500+ hp I’ve done a significant amount of work to the car to make a track-focused performer. It made 430 rwhp on the dyno (500-510 hp at the crank) running 92 octane gas NA. The engine has been bored out and runs 11.0:1 compression at 5.0 Liters. I use nothing but Royal Purple in the engine. The suspension was the first thing I changed. I got a custom alignment done at Group 2 Motorsports in Seattle… this car can handle any twist or turn you throw at it. Engine red line reset at 7700 RPM to support higher RPM torque created by the new cams. Maximum Motorsports Mustang Sport Box (Fully Adjustable Suspension) Maximum Motorsports Mustang Caster/Camber Plates Maximum Motorsports Bump Steer Kit Maximum Motorsports Aluminum Rear Control Arms Steeda Lower Radiator Support Drivetrain: Motive Gears 4.10 8.8” Ring and Pinion Final Drive Aluminum One-Piece Driveshaft RAM Twin-Disc Clutch Hurst Short Throw Shifter This car handles like it"s on rails. There is almost no dive, squat, or roll at all. It catches me by surprise every time I drive it after driving any other car. There are a couple of small scratches in the paint. Ask for specifics. Paint is generally in excellent condition.